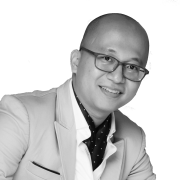 Khoa has over 12 years of experience working in the IT area, with extensive experience as a Product Owner, Product Manager, Scrum Master, and Agile leader and coach. He thrives in professional and innovative organizations and has true passion and expertise in coaching/training teams and organizations in the application of Scrum, Scaled Scrum, and management with complex products/projects. He is also an expert in UI/ UX design. His coaching and training abilities give him the right perspective to guide teams and organizations to recognize the core value of Agile and Scrum while also educating them on how to apply Scrum to maximize value.